This book has an active table of contents to access each chapter. Thorstein Veblen is a great American economist along with Irving Fisher and John Bates Clark in many economic thoughts for combining a Darwinian evolutionary perspective with his new institutionalist approach to economic analysis. He developed a 20th-century evolutionary economics based upon Darwinian principles and new ideas emerging from anthropology, sociology, and psychology. 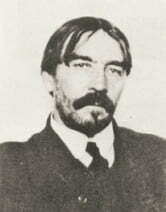 Veblen’s important works includes The Theory of the Leisure Class and The Theory of Business Enterprise. Thorstein Veblen presented his view and thoughts for the book The Nature of Capital and Income written by the great American economist Irving Fisher. This book is for the readers who are interested in Veblen’s thoughts about the capital income and its nature. A Rationalist Critique of Deconstruction: Demystifying Poststructuralism and Derrida's Science of the "Non"